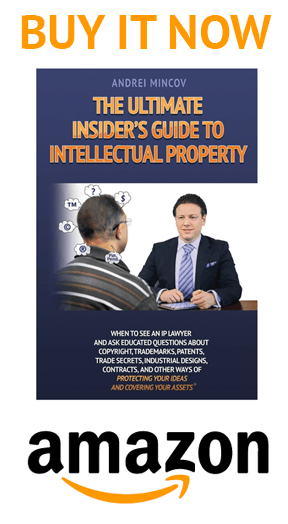 Click on the image below to buy The Ultimate Insider’s Guide to Intellectual Property on Amazon. Join all those who made this book #1 Amazon Best-Seller! © 2013–2014 by Andrei Mincov and Mincov Law Corporation.